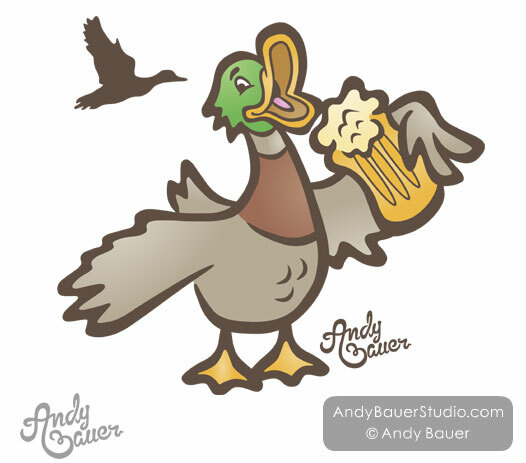 Drunk Duck is a character I designed to be put on tee shirts for a social Ducks Unlimited group. This character is available to be licensed. Please contact me if you’d like to use this beer drinking duck on your shirts or any other product. 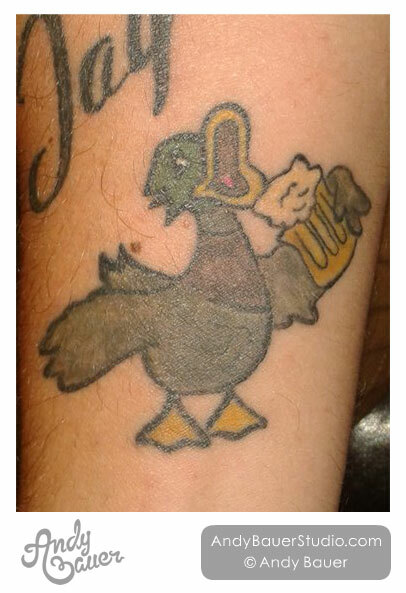 Update: Drunk Duck was used as a tattoo! Update: Drunk Duck was used as the mascot for the Mighty Drunks – Roller Hockey Team. 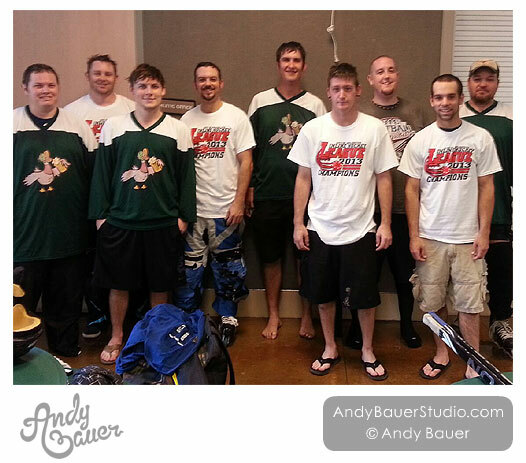 Congrats for winning the 2013 City of Arlington Inline Hockey League championship game! This entry was posted in Advertising, Character, Icons, Illustrations, Logos, Merchandise, Tattoo, Tee Shirts. Bookmark the permalink.